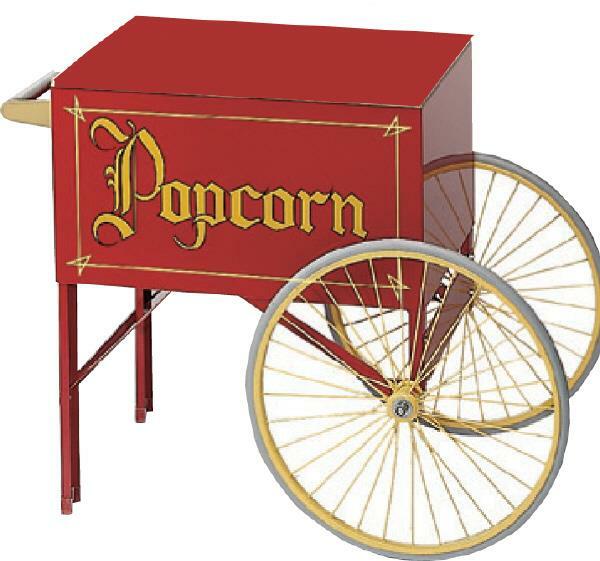 This cart adds that great extra old-fashioned touch to your popcorn machine rental! Offers storage for bags and popcorn and eliminates the need for a table. * Please call us for any questions on our popcorn cart rentals, serving Tampa Bay, Brandon FL, Riverview FL, Seffner FL, & Lakeland Florida.